Make Trick or Treating even more fun this year with our personalised kids Trick or Treat Bags. 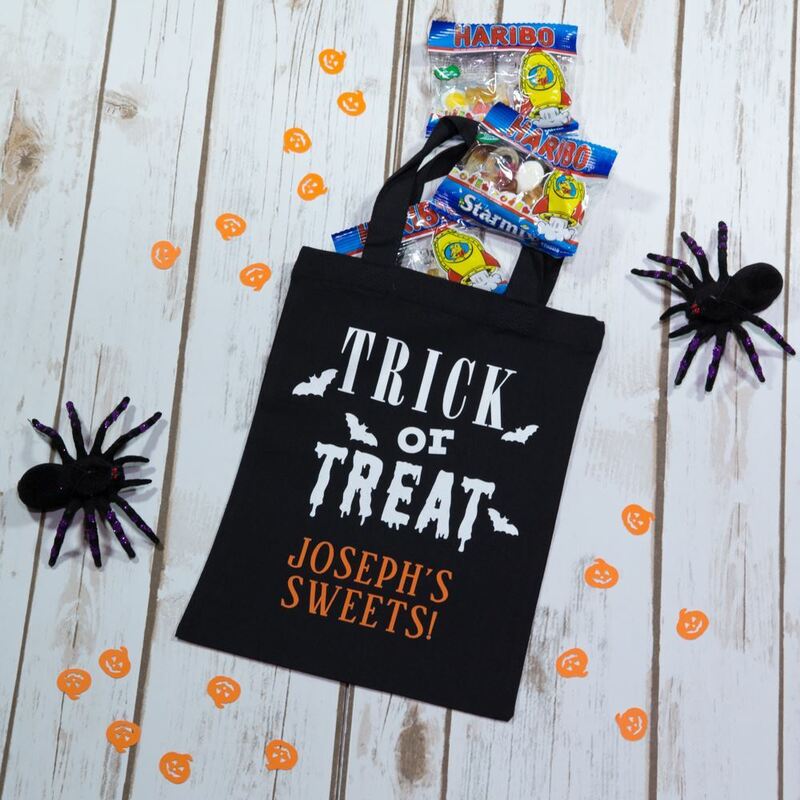 The Trick or Treat part will glow up in the dark but when you get back home you will know who's is who's with each childs name on. Perfect for parties too! 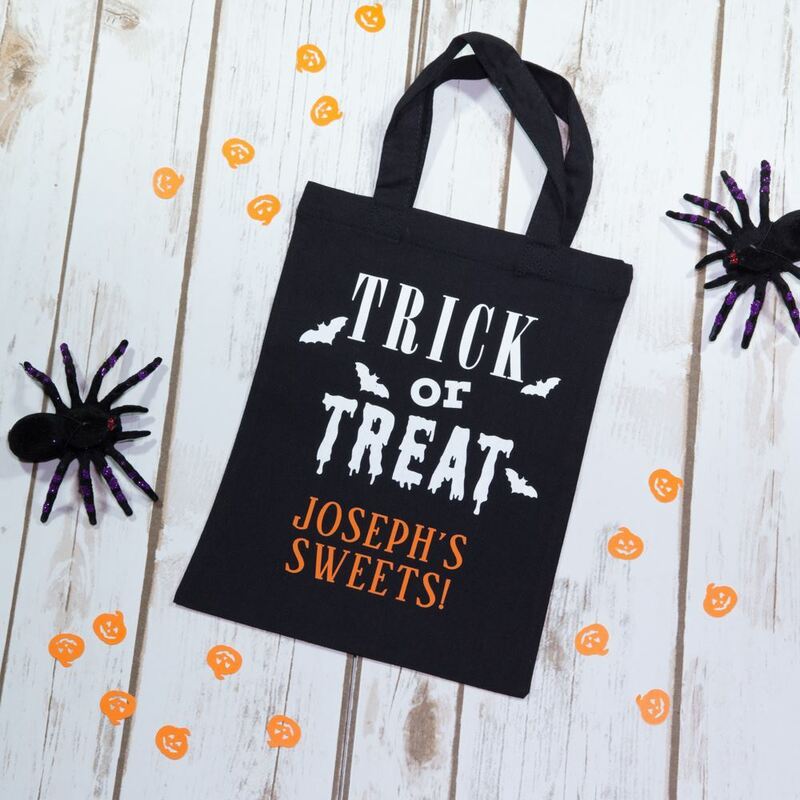 These bags are the perfect size to fill with sweets, but not too many that the kids will be bouncing off the walls for weeks! They measure 19cm x 25cm and come with cute carry handles. 100% cotton bags. The fabric weight is 140gsm. 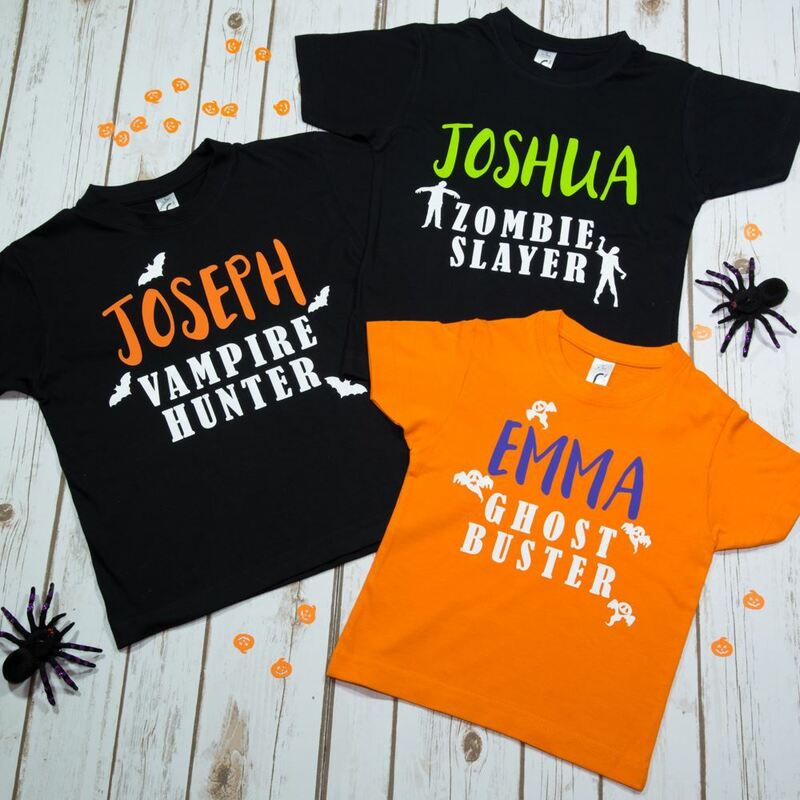 Choose from a range of colours for your childs name. 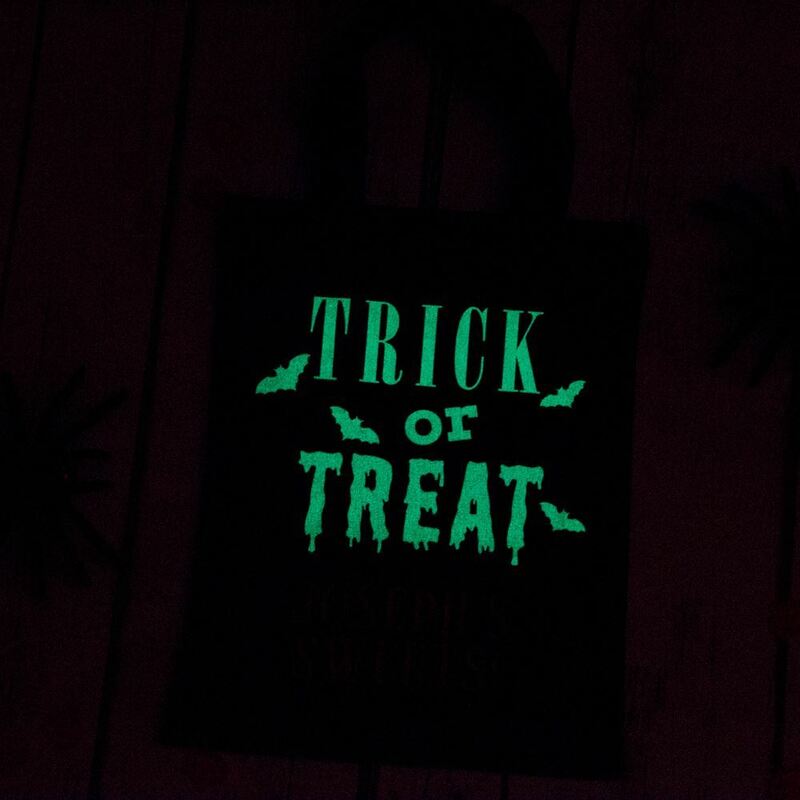 The "Trick or Treat" part is glow in the dark!